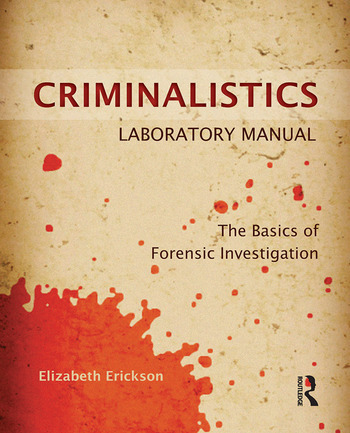 The Criminalistics Laboratory Manual: The Basics of Forensic Investigation provides students with little to no prior knowledge of forensic science with a practical crime scene processing experience. The manual starts with an original crime scene narrative setting up the crime students are to solve. This narrative is picked up in each of the forensic science lab activities, tying each forensic discipline together to show the integrated workings of a real crime lab. After the completion of all of the exercises, the student will be able to solve the homicide based on forensic evidence.